Volunteers and staff at the Airedale NHS Foundation Trust in West Yorkshire have declared an equipment amnesty in a bid to recover lost wheelchairs, walking frames and other walking aids. The last time the hospital held an amnesty hundreds of pairs of crutches, walking sticks, and walking aids worth around £4,000, plus several wheelchairs, were returned during the month-long initiative. The amnesty starts on the 21st of March and runs until the 30th of April and the Trust is urging people to return any mobility aids they might still have but do not use on a ‘no questions asked’ basis. Jo Sainty, Physiotherapy Manager at Airedale NHS Foundation Trust, said: “When wheelchairs or walking aids are no longer needed people sometimes forget to return them, or if something’s broken they worry about returning it. But we can often repair them or take serviceable parts to maintain others. The charity has set up two dedicated areas at the Airedale Hospital for people to drop off mobility aids themselves. 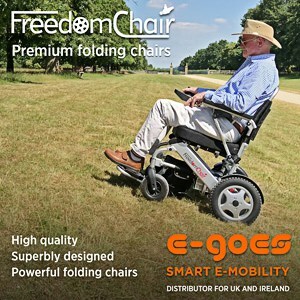 Eileen Proud, President of the Friends of Airedale, added: “Each wheelchair costs around £400 so even if just a few are returned it all adds up. It also means we don’t have to spend our resources replacing items that could be gathering dust in peoples’ homes. This is not the first time this year that an NHS Trust has declared an equipment amnesty, with the need for returning unwanted mobility devices being highlighted as important due to the costs the NHS can face. At the end of February, Medequip joined with North Yorkshire CCGs to encourage residents to return unwanted mobility products, helping cut local health service costs by tens of thousands of pounds. Similarly, NRS Healthcare joined with a local council and NHS Trust in Herefordshire and launched the ‘Hand it Back’ campaign, which sought to stop unnecessary medical equipment waste.